A couple of years ago I reported on a new product from The Wine Gift Centre called ‘The Tasting Game’, that for me was easily the best of several wine-related dinner-party games I’d come across. Well, The Wine Gift Centre has just re-launched an improved version of the game with an introductory £10-off, bringing the price down to £19.95 which is outstanding value. The game is suitable for up to six players or teams, and for any level of wine knowledge: its all about describing what is in your glass. The game is great fun and very educational, but even if you don’t use it too often, you will get tremendous use from the spittoon, dripstops and bottle bags that are included – and which alone would cost more than £20 if purchased separately. I’m delighted to see this product back on sale: for me it’s a Christmas no-brainer. STOP PRESS: The Wine Gift Centre is offering 15% of *everything* on its site, exclusively for wine-pages visitors. 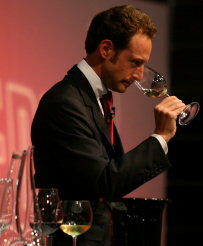 That includes the tasting game of course, which would bring the price down to less than £17. 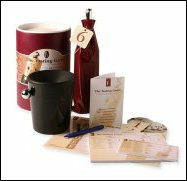 To enjoy the discount, choose your items from winegiftcentre.com and enter the code ‘winepages’ at check-out. Humanitas is a small, family-owned winery with a difference. Their ‘7% Solution’ strives to donate a minimum of 7% of their revenues (which they say is 100% of their profits) to charities working on solutions to hunger, affordable housing & education. Humanitas says “We simply want to make the world a better place…one sip at a time!” Founded in 2001, the wines are only available in the USA at this time, and I personally have not tasted them. But with the festive season upon us, and a range of wine gifts and baskets available, it might be one for US visitors to look into. 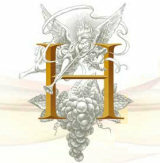 Check out humanitaswines.com. Just opened in Bordeaux city centre is the Max Bordeaux ‘Wine gallery’. Six Enomatic wine dispensing machines will offer 48 of Bordeaux’s most prestigious wines by the glass. The staff are said to be “knowledgeable but not intimidating,” and a pay-as-you-go credit card system allows you to choose tasting samples according to your budget. The initial list of wines on offer include all the First Growths, Yquem and stars of the Right Bank like Chavel Blanc and Ausone. The company says “We want to change the general perception of Bordeaux – particularly within the younger generation. Admittedly, we are one of the few places in the world offering all first growths side by side,however, equally exciting in my mind are the ‘seconds of the firsts and the firsts of the seconds’, which are generally far less known but offer great value for money.” The ambitious company behind Max Bordeaux says it plans to open more Wine Galleries around the world, but in the meantime you can find them at 14 Cours de l’Intendance, 33000 Bordeaux. Tel +33557292381.